Horror movie remakes are getting out of hand!! AN AMERICAN WEREWOLF IN LONDON remake announced! I guess it had to happen sooner or later, but it has now been announced that they are remaking AN AMERICAN WEREWOLF IN LONDON! AWIL (as I will refer to it throughout the rest of this post because I am lazy and don't feel like typing it out each time I need to mention it) is considered a true modern day classic. Not sure what they are thinking here. I guess every other horror movie is being remade, so they might as well do this one too! AWIL is pretty much a flawless film. Good story, good acting, good effects...not sure what there is to improve on. Of course, I am assuming they are remaking it to improve on the original, not just basically make the same movie to get it released again since it did so well the first time. Oh wait, maybe that is what they are doing. Otherwise, you would take a horror film from the past that wasn't so popular and revamp it and make it 10 times better than the original and make a new classic film! Remaking a movie just for the sake of remaking it to get a new audience to see it seems pointless to me. Might as well just re-release the original to theaters...of course, with DVD now, no one would pay to see the original in the theater if they can just rent it for $3 and watch it at home. Anyway, there are a lot of pointless remakes out there....I have a feeling this will be one of them. BUT...I am not one to judge before I have seen the product. I will go and support the film and who knows, I could be pleasantly surprised. Time will tell....I will keep you up to date with more details when I find them. So speaking of pointless remakes, how about a list of the 5 WORST horror movie remakes! 1. PSYCHO - This classic Hitchcock film actually could have been improved upon, but instead they decided to do a shot-by-shot remake...what was the point of that? 2. THE WICKER MAN- Remake starred Nicolas Cage.....worst. actor. ever. Check out this youtube clip HERE. Someone made a fake trailer like this movie was a comedy. Funny stuff! 3. NIGHT OF THE LIVING DEAD- I love Tom Savini, but this remake brought nothing new to the table. The original NOTLD was perfect. No remake needed. 4. THE AMITYVILLE HORROR- Let me say I am not the biggest fan of the original, so the remake could have..should have...been great. But Ryan Reynolds in the lead? Don't get me wrong, I think Ryan Reynolds is great...in comedy films. He is not a horror actor. I know horror movies don't get a lot of respect from the film industry, but not just anyone can act in a horror film. Poor casting killed this film. 5. LAST HOUSE ON THE LEFT- Remake wasn't horrible, but nowhere near as good as Wes Craven's original. Not enough was changed to actually warrant a remake. In fact, 2 of the best scenes were either just forgot about or changed (toned down). I am speaking of the final revenge scene (chisel on front teeth) and the scene down by the lake where the mom gets her revenge during...well, you know what I'm referring to here if you have seen this film. Ok...there is my 5 worst...what are yours? Once again, not a lot to be real excited about this week. If I had to buy one thing it would be the Lucio Fulci double disc set (Fulci Frenzy: The Psychic & Perversion Story). 2 of Fulci's lesser known films, I have heard of both, but have never seen either one. I am looking forward to this....Fulci rarely disappoints! I love creature movies....especially weird creepy creatures like a huge killer eye!! While I can't say THE KILLER EYE is a good movie by any means, it was a lot of fun to watch. The basic premise is a scientist is conducting experiments involving the human eye and trying to see the 8th dimension? I didn't even know there were that many dimensions. Anyway, his latest experiment goes wrong and the poor test subject's eye grows to enormous proportions and slithers away from his body. The killer eye then goes on a rampage, but doesn't actually seem to kill anybody (except for the test subject, whom the eye came from). Basically, the eye just walks around (I guess that is supposed to be the optic nerve it is walking on!) and finds women to seduce. The eye blasts green lasers that seem to hypnotize the females into thinking that having a huge eye rub its tentacle thing all over them is somehow very satisfying. The laser effects are horrible, the acting is bad, and the plot makes no sense. Now that I think about it, maybe this movie wasn't that much fun to watch after all!! Click HERE to see a trailer of THE KILLER EYE! I used to be very skeptical about straight-to-DVD movies...used to there was a reason they didn't get released in the theaters. They just weren't good. But lately I have come to change my mind as I have seen many great films that have gone the straight-to-DVD route. This is definitely one of them. This movie was well acted, very creepy, and VERY bloody. There was some gore effects that were as good as in any other movie I have seen...maybe even better. The Religious Cult is the main part of this movie...they are the killers that the people are running from. Some of the "kill scenes" are very realistic and very affective. One of the tag lines for the film is "Does for subways what JAWS did for the ocean" and that is certainly true. Good thing I don't live in an area where I have to use the subway! Check out the trailer at the official site HERE. I highly recommend you check this one out! 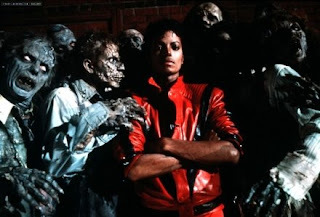 With the stunning news that the "King of Pop" Michael Jackson died yesterday, June 25th, at the age of 50, it got me remembering my favorite song and video from when I was a kid.....Michael Jackson's THRILLER! The 1982 album spawned 7 top ten hits and was certified 28x Platinum. It is, by far, the best selling album of all time. So why is this on a horror blog...because of one reason. The video to the hit song "Thriller". More of a mini-movie than a music video, it was a wonderful short film that featured a voice over by legendary horror film star Vincent Price, a scene of Michael turning into a werewolf inspired by AN AMERICAN WEREWOLF IN LONDON and a street full of synchronized dancing zombies!! In fact, the music video was directed by John Landis, who also directed AN AMERICAN WEREWOLF IN LONDON! As I look back on it now, I think this is one of my earliest memories of seeing a zombie. The video came out in 1983 when I was only 7 years old. In fact, I think it might be safe to say that Michael Jackson is what inspired my love of horror films, especially zombie movies! Thanks Jacko! You will be missed! To watch the complete 13+ minute THRILLER video, click HERE. For those of you that haven't heard of ORPHAN, this looks to a be a great, creepy flick about a girl named Esther who turns out to not be the nice little girl everyone thinks she is. Esther is an orphan that is taken in by a couple who have recently experienced the loss of their unborn child. As soon as Esther moves in with her new family, bad things start happening and people start getting hurt. This looks good and reminds me a lot of THE GOOD SON, which I thought was an excellent film. Check out the official website HERE to view the trailer! Let me know what you think! The WORST horror movie ever made....EVER!! It's name is WINTERBEAST...and I have never seen anything like it in my life. It was advertised as "The Worst B-Movie Ever" and "It Must Be Seen To Be Believed"!!. The trailer looked awful...but in that "so bad it's good" kind of way. So I bought it...and I watched it and now that I have seen it, I believe. I believe I can honestly say this is not just the worst horror movie I have ever seen, but one of the worst movies in general. Yet for some reason, I liked this film. I liked the fact that the opening scenes had nothing to do with the plot of the film. I like the fact I'm still not sure what that plot is. I liked that in one scene the main character's mustache was big and bushy and in the next it was nicely trimmed and then in the next scene it was big and bushy again. But mostly, I liked...no I LOVED the kill scenes filmed in claymation. That's right...claymation. Not some cool stop motion animation, but old school Mr. Bill style claymation! When a girl about to be taken from her room and killed by the giant Totem Pole monster (don't ask), it cuts to the claymation scene where we see the Totem Pole Monster slam the miniature claymation "woman" into the side of the wall. Seriously, I know I can't describe this like it deserves to be described. It truly must be seen to be believed!! Also, just to let you know how bad this movie is, it sells on the official WINTERBEAST website for only $7.99 which includes shipping!! So after about $3.00 shipping charge, the creators of WINTERBEAST are basically selling the DVD for $4.99, which is about $4.98 more than it's worth. This is truly so bad, its actually good! Check it out! Visit the official WINTERBEAST website HERE! Check out this awesome trailer for LESBIAN VAMPIRE KILLERS! Could this be the best movie ever? 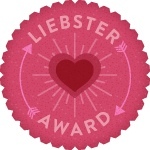 Lesbians---awesome! Vampires---awesome! Blood and Gore---Awesome! This movie has it all! It's LESBIAN VAMPIRE KILLERS!! I don't really think I need to waste time with a plot...just go check out the trailer HERE!! Here are this weeks horror related DVD releases coming out tomorrow, Tuesday, 6/23. Out of all this list, I really don't see much worth buying on here. If you had to go with just one DVD, I would go with SIMON SAYS. It stars the criminally underrated Crispin Glover in a very creepy role. I love Crispin Glover and love that he has been doing more horror movies lately. Anything he does he puts his best performance into. Check out the trailer for SIMON SAYS HERE. REC 2 Trailer...a must watch!! Click HERE to watch the [REC]2 trailer, courtesy of Terrorfeed.com! Turn down the lights and turn up the sound...based on this trailer, we are in for a wild ride when this is released! Hayes Hudson's House Of Horror supports local music!! Hayes Hudson's House Of Horror has made it's first sponsorship deal and is helping to sponsor what is sure to be an awesome show tomorrow night at The Gypsy! (Formally the Dart Room on College Ave. in Fayetteville, AR). Headlining will be the awesome metal/industrial fusion group VESSELS OF WRATH. You can check out their myspace page HERE or their official website HERE. You can also buy their debut CD titled, TIS NOW STRUCK TWELVE: THE SHAPE OF GOTH TO COME on Itunes! This will be an awesome night of music, Burlesque Dancers, and even a Magician! Doors open at 7pm and tickets are only $8 at the door. Come on out for a great party and remember it is sponsored in part by your very own, Hayes Hudson's House Of Horror!!! Woody Harrelson's in a new zombie movie!! ZOMBIELAND!! 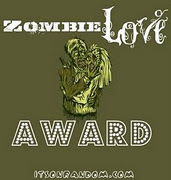 As most of you know, I LOVE zombie movies. 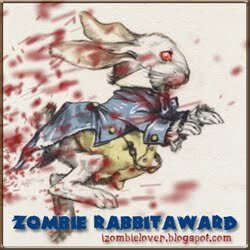 So I was super excited to hear about a new zombie movie coming out called ZOMBIELAND starring Woody Harrelson! Well, a trailer has finally been released for it, and you can check it out HERE! Looks like it is going to have quite a bit of comedy in it, so it might be more along the lines of SHAUN OF THE DEAD than DAWN OF THE DEAD...either way, I think this movie looks awesome! Check it out! Check out the trailer for this new movie called GRACE....very sick! Those that are pregnant or have newborns might not want to watch this, but the rest of you need to go check out this new film coming out called GRACE. It is the story about a lady who's unborn baby is lost during an accident, but she still insists on carrying the baby to term. Following the delivery, the child miraculously returns to life with an appetite for human blood. This movie looks very sick and disturbing...just like I like them! Click HERE to go watch the trailer courtesy of Fearnet.com. LITTLE RED RIDING HOOD and Other Stories (special edition): Malaprop Prods. Ok...this week is an easy choice...Definitely pick up FRIDAY THE 13TH (2009 remake). If you didn't catch it in the theater (shame on you) you missed a great flick. They did a great job with this remake and Derek Mears did a great job with the character of Jason Voorhees. Check out the trailer and some clips HERE courtesy of IMDB.com. Also, take note that FRIDAY THE 13TH parts 4, 5, and 6 are also being re-released tomorrow in new special edition formats (just like they did with parts 1, 2, and 3 earlier in the year). And finally, if you didn't already get it when it was released earlier this year as a 2-disc edition, you need to pick up HIS NAME WAS JASON , (released tomorrow as a single disc version) it is a great documentary on the FRIDAY THE 13TH series with interviews with almost everyone involved with the FRIDAY THE 13TH films. Also...notice the last DVD release on the list...TERROR AT BLOOD FART LAKE....the title made me look into it and I found a "trailer" on Youtube. Notice I put "trailer" in quotations because the trailer is more of a music video featuring what I assume is characters from the movie. Anyway....if you wanna see the trailer, do so at your own risk. It is HORRIBLE!! I'm not even making a link to it. If you wanna see it, go look it up, but I promise you will want that 3 minutes of your life back. Until next time, Stay Scared!! ...due to some computer issues, my computer is going into "the shop" for a few days....so there will be no new post for a little bit...check back in 2-3 days and hopefully I will be back up and running and back to new daily posts! Nothing exciting this week in terms of horror movies....I think the only DVD I will be getting is a rare non-horror purchase of GRAN TURINO. It comes out this week and is one of the best movies I have seen...ever. I loved it. Not many weeks when I pass up a horror DVD for something else, but as you can see, the horror DVD's for this week are pretty slim. But...that is ok. Save your money for next Tuesday when the new FRIDAY THE 13th remake is released along with the special editions of the original FRIDAY THE 13th PART IV, V, and VI ! I know not every horror fan is a fan of the FINAL DESTINATION franchise, but I love these movies. I think they are entertaining and fun. I know they aren't going to win any awards, but they are entertaining which is what a movie is supposed to be. Some of the kills are spectacular and truly scary (girl hit by bus, plate glass window smash, barbed wire fence slicing) while there are a few that are boring and forgettable. Just wanted to share some info on a new magazine I came across called CINEMA SEWER. Cinema Sewer is an Adults Only mag focusing on crazy, sleazy, cheesy, and trashy movies from the past. It is full of movie reviews, comics and other articles of interest to any fan of exploitation films. Each issue seems to have a theme (i.e. the Women In Prison Films, 80's Teen Movies, Etc.) and there is something in each issue for everyone. I came across these mags on Ebay and got a bundle of three and am bidding on a bundle of three more issues now! A man by the name of Robin Bougie is the genius behind these mags. Each mag has an awesome cover with great artwork and the mags are more comic book size than regular magazine size. In addition to the mag, you can buy other comics and the Cinema Sewer book (Collecting the best bits from the first 12 issues plus 100 pages of new material) on the Cinema Sewer website: http://www.cinemasewer.com/. If it played at the drive-in or on 42nd Street, there is probably something about it in an issue of Cinema Sewer. It is amazing how much info Mr. Bougie manages to cram into each issue. 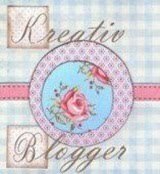 I LOVE these magazines and I know you will too! Give them a shot! The acting world lost one of its greats yesterday, actor David Carradine died at the age of 72 in his hotel room in Bangkok, Thailand while there filming a movie. He was found hung, and the original cause was reported as suicide, but now new info has come out suggesting foul play. Go to CNN.com for the story. Most remember Carradine from his starring role in the "KUNG FU" TV series which ran from 1972-1975. Newer fans know him from Quentin Tarantino's "KILL BILL V. 1 & 2". Being the horror fan I am, I mainly remember him from his role as "Frankenstein" in a great horror flick called "DEATH RACE 2000". DR2000 is a Roger Corman produced film that came out in 1975 and is a movie that no horror fan should miss. It is the story of a government sponsored cross country race where pedestrians are run down for points! I remember the elderly being worth more points because they are more of a drain on government funds. HA. Totally absurd, totally wrong, yet lots of fun! Click HERE to go to the imdb.com page where you can see trailers and clips from DEATH RACE 2000! If you haven't' seen this film, please go do so. It was an early film of Mr. Carradines and one of his best in my opinion. Mr. Carradine was a great actor, a great man, and will be greatly missed. Check out my new pic I will be using for my blog profile pic...it is ZOMBIE HAYES!!! And then after full zombification, you get the final product!! This is really creepy looking....I LOVE these photos!! Great job Katy! Thanks for the cool pics! A British [Zombie] Invasion...THE ZOMBEATLES!! I picked up the new issue of RUE MORGUE magazine today (which for those that don't know is one of, if not, THE best horror magazine around) and came across an article about a Zombie Beatles cover band called, naturally, The Zombeatles! They have quite a few hit songs, including "It's Been A Hard Day's Night Of The Living Dead" and "I Wanna Eat Your Hand"! They have a CD and have recently just finished a 23 minute short mockumentary in the style of "THIS IS SPINAL TAP" called, "MEET THE ZOMBEATLES: ALL YOU NEED IS BRAINS". You can click HERE to see the video for "It's Been A Hard Day's Night Of The Living Dead" on YouTube. 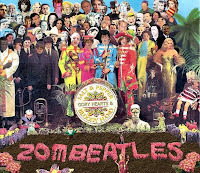 Click HERE to visit the Zombeatles website to order their CD or DVD ! Another Musical Based On A Horror Movie: THE TOXIC AVENGER: THE MUSICAL! My brother sent me an email the other day asking me if I had heard they made a musical out of THE TOXIC AVENGER! I had not heard about it, so I went to check it out and it looks awesome! (Check a few posts down for the similar EVIL DEAD: THE MUSICAL info). For those that don't know, THE TOXIC AVENGER was a move that came out back in 1984. Produced by Troma Films, it became their post popular film and spawned 3 sequels! The basic story is about a nerdy kid named Melvin who is a janitor at a popular health club. He is always getting picked on by bullies and teased by the ladies. One day he has a tragic accident with a vat of toxic waste which transforms him into the hulk-like character, The Toxic Avenger, or Toxie as his friends know him. Armed with his trusty Janitor's Mop, he vows to "clean up" the town and get revenge on all the guys that pushed him around. Of course, being a Troma film, it is loaded with comedy and sight gags along with a healthy dose of horror and gore effects. It is a great film and I bet this musical would be a blast to see! Click HERE to go to the TOXIC AVENGER: THE MUSICAL's official website. Nothing too special this week, although if you are a fan of cheesy, "so bad they're good" films, I recommend you check out MONSTURD and RETARDEAD. See earlier posts for reviews and trailers. If you are a fan of the TROMA films, you will love these two!